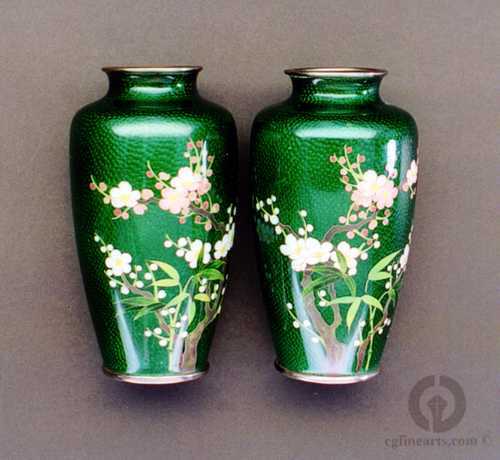 Ginbare Cloisonne is comprised mainly of clear enamel over embossed silver foil. The silver ground in this pair of vases has been embossed with bamboo leaves over an 'orange peel' texture, which forms the design on the Ura, or backside of these vases. The Omote bears a design of Ume (Plum Blossoms).